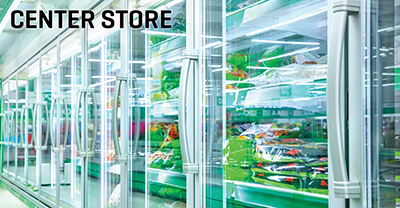 While retailers overall saw an increase in both pet food and pet supply sales (of 1.8% and 1.3%, respectively), there is some cause for concern in the categories. 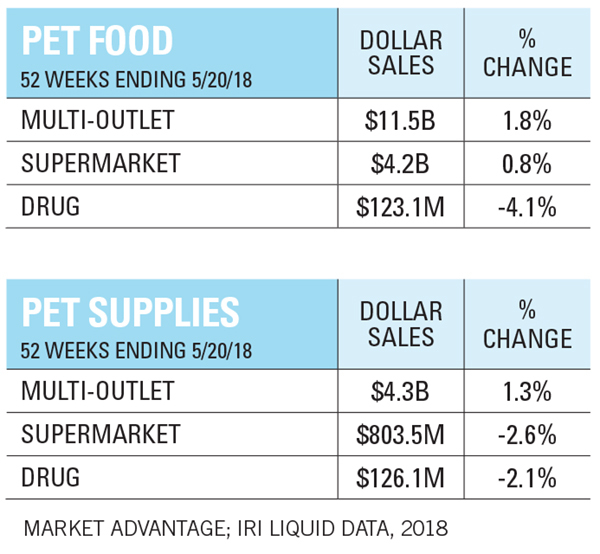 In supermarkets, pet food sales were virtually flat at $4.2 billion in the 52 weeks ending May 20, according to IRI data, while down 2.6% in pet supplies, to $803.5 million. Those are still decent numbers, but with a total of $72.1 billion being spent this year on animals, care and supplies (according to the American Pet Products Association), grocery retailers may feel their share of the market should be stronger. About $30 billion of that total goes to pet food. Competition is a big factor. There is a growing online shopping component for pet owners — led by Chewy.com and the omnipresent Amazon, whose pet product sales reached $2 billion in 2017, up 40% from the previous year, according to Packaged Facts research. Outside of e-commerce, pet supply chains like Petco and Petsmart command a hefty share of the pie. But supermarkets are still very much in the game and by focusing on healthier trends in pet foods, they might gain some sales in 2018.